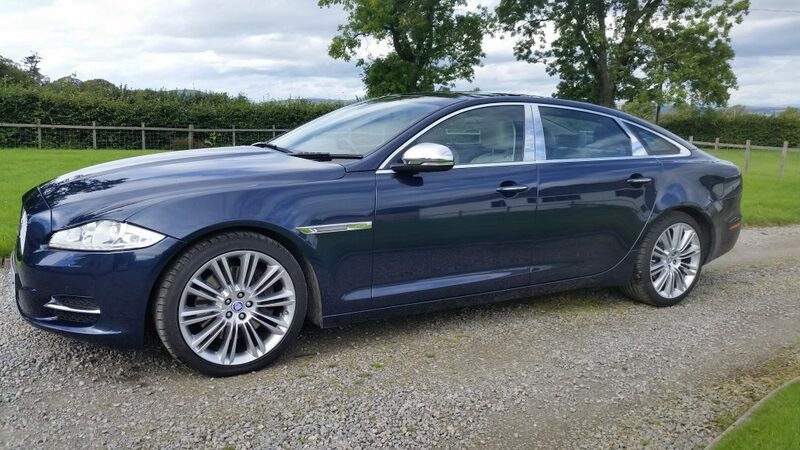 We are proud of the quality and standard of the matching sapphire blue classic shape Jaguar wedding car and the modern Jaguar wedding car we provide, which are fastidiously maintained and presented. Our drivers are courteous and smartly dressed. 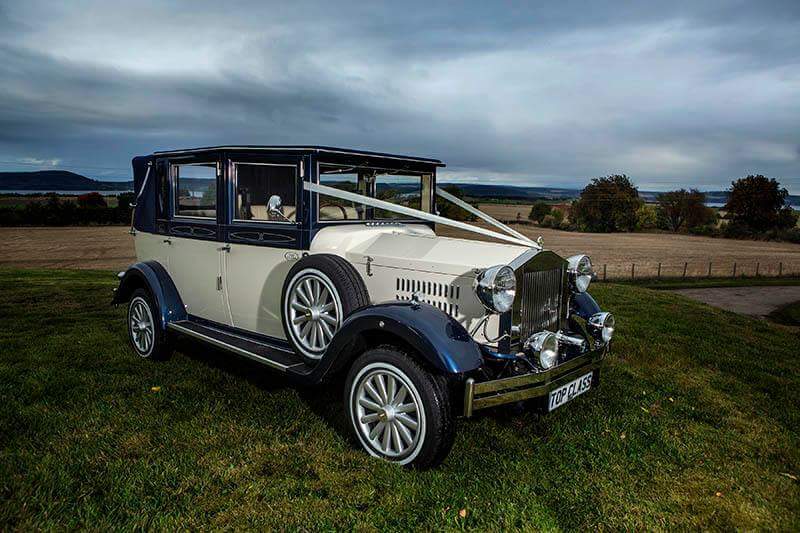 We also have two stunning Beauford Bridal Cars, an Asquith Mascot wedding coach and an Imperial Viscount 7 seater wedding car available for hire. Our Jaguar wedding cars have ivory leather interiors, walnut wood trim, are air conditioned and carry bottled water, hand wipes and paper handkerchiefs as standard. 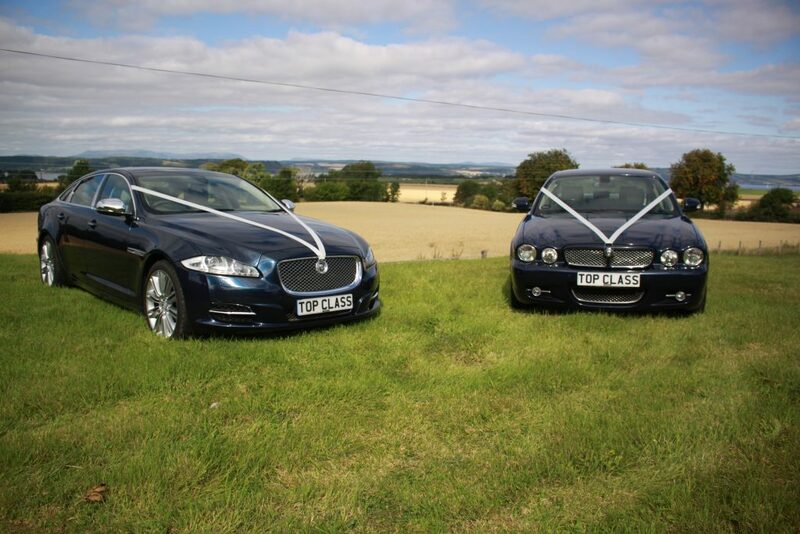 Special prices are available for multi-car wedding car hire bookings. The price quoted for each wedding is individually calculated. 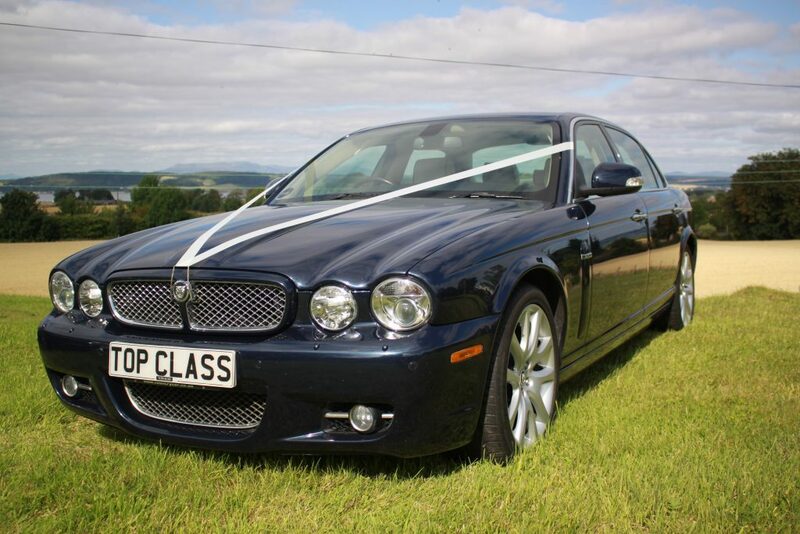 There is a standard price per car and chauffeur for an Inverness wedding and should we be required to travel further we quote based on additional time and distance but try to keep extra charges to a minimum! 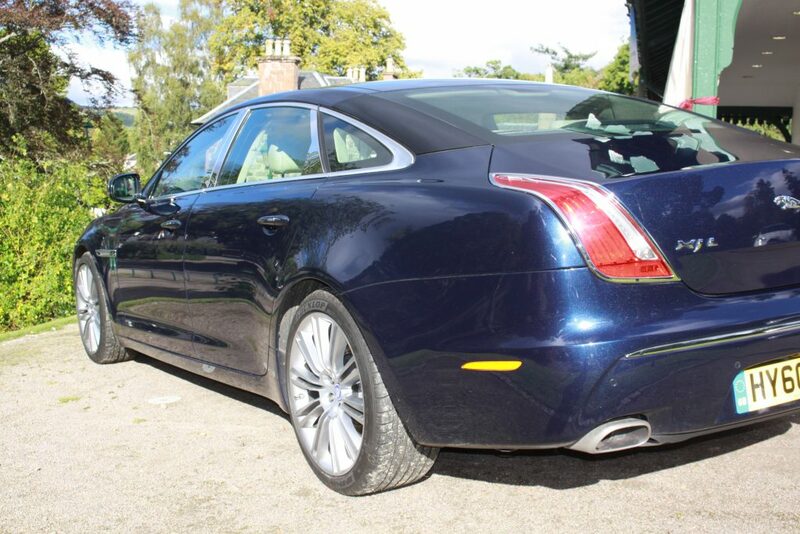 A discounted price applies for more than one car. 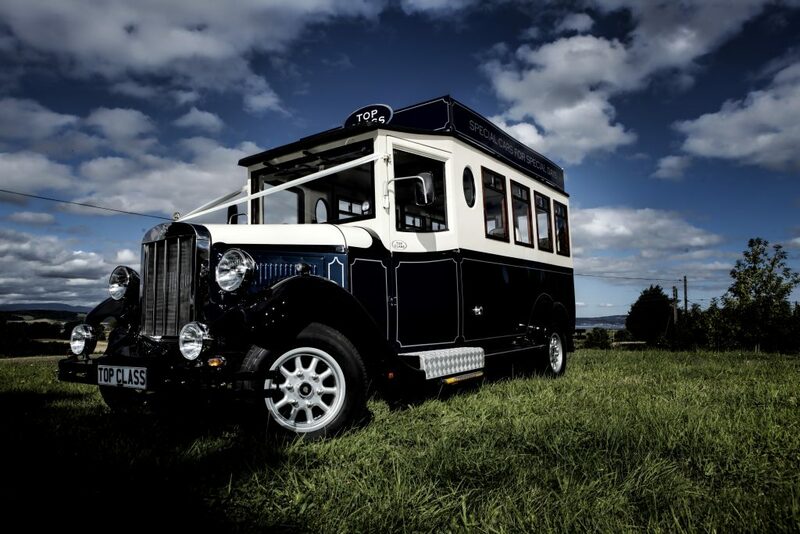 We can cater for all occasions – should you wish a people carrier, additional vehicles or coaches for your guests please let us know – we are pleased to help you – just ask! 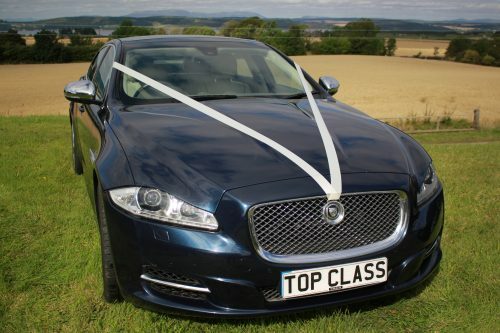 We welcome you to inspect our wedding cars by appointment. If you are in town for a local wedding fair, please come to see us? Please telephone 01463 234777 or 07836 332342 for an appointment time. Advance bookings can now be paid by Credit Card. 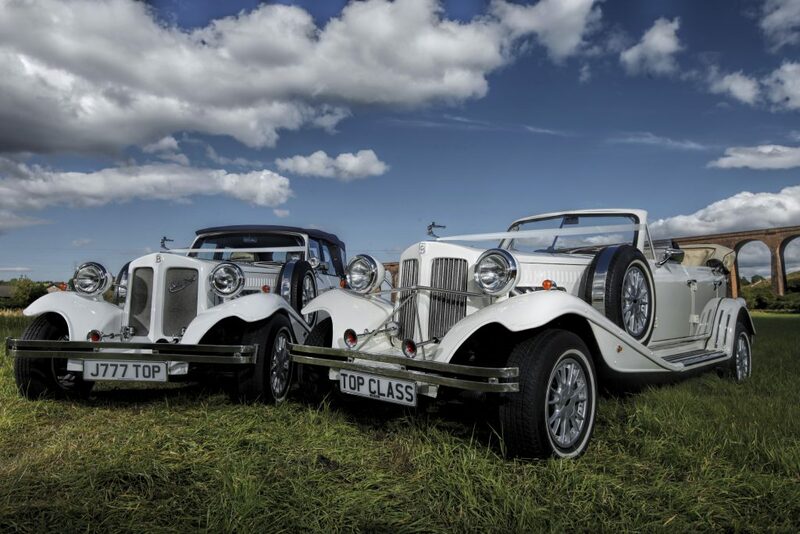 BOOK YOUR WEDDING CARS FOR 2019 and 2020 NOW - we still have availability for 2019! Please book early to avoid disappointment. 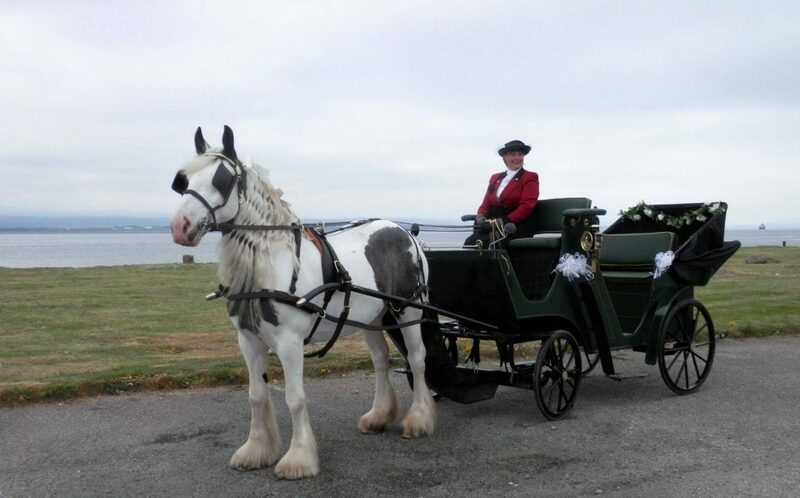 Serving Inverness, Aberlour, Alness, Aviemore, Banff, Beauly, Brora, Cromarty, Dingwall, Dornoch, Elgin, Forres, Golspie, Huntly, Invergordon, Lossiemouth, Muir of Ord, Nairn, Portsoy, Rothes, Strathpeffer, Tain, and throughout the Highlands, Morayshire, Perthshire and Aberdeenshire!